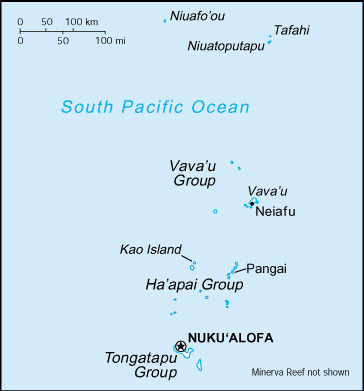 This region of Fiji, Tonga and the Cook islands comprises an archipelago of more than 500 islands, of which over 200 are permanently inhabited by over 970,000 islanders. This region covers a combined geographic area of over 1,300,000 square miles. The country comprises an archipelago of more than 332 islands, of which 110 are permanently inhabited, and more than 500 islets, amounting to a total land area of 7,100 sq miles. 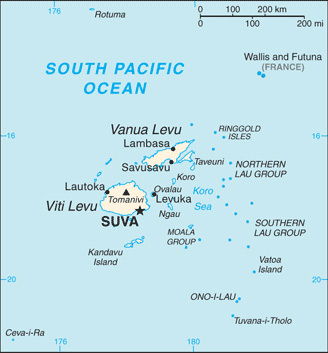 The two major islands, Viti Levu and Vanua Levu, account for 87% of the population of almost 850,000. Although the United States provides relatively little direct bilateral development assistance to Fiji, it contributes through its membership in multilateral agencies and USAID funding of regional environmental projects. Small U.S. grants contribute to civil society, journalism, environmental protection, and anti-human-trafficking efforts. Non-military law enforcement cooperation assists port security, rule of law professionalism, intellectual property rights, and disaster preparedness and response. Assistance in 2012 included an $800,000 grant through a U.S.-based consortium to support the drafting of a new constitution. There is a Peace Corps program in Fiji. The immunization rates for children under one were as follows: diphtheria, pertussis, and tetanus, 84%; polio, 84%; measles, 82%. Tonga, officially the Kingdom of Tonga, is a sovereign state and an archipelago in the South Pacific Ocean, comprising 176 islands scattered over 270,000 sq miles of ocean in the South Pacific. Fifty-two of the islands are inhabited. The partnership between the United States and Tonga is broad and deep, based on shared values and close cooperation. The two countries work together on matters ranging from combating climate change and human trafficking to improving maritime security and fostering cooperation and development in the region. Peace Corps Volunteers teach and provide technical assistance to Tongans. Tonga received $783,000 security assistance funds in FY 2011. The immunization rates for children under one were as follows: diphtheria, pertussis, and tetanus, 99%; polio, 99%; measles, 99%. The Cook Islands is a self-governing parliamentary democracy in the South Pacific Ocean in free association with New Zealand. It is composed of two main islands and 13 smaller islands whose total land area is 92.7 sq miles. 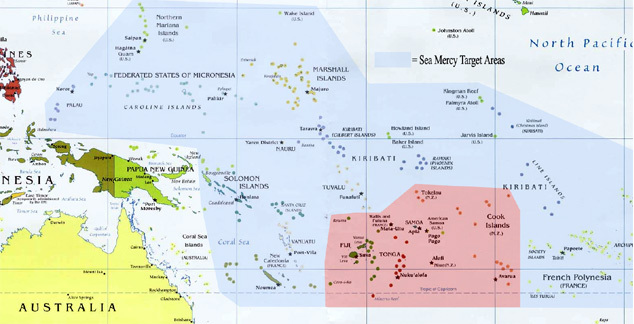 The Cook Islands' Exclusive Economic Zone (EEZ), however, covers 690,000 sq miles of ocean. The immunization rates for children under one were as follows: diphtheria, pertussis, and tetanus, 93%; polio, 93%; measles, 96%.